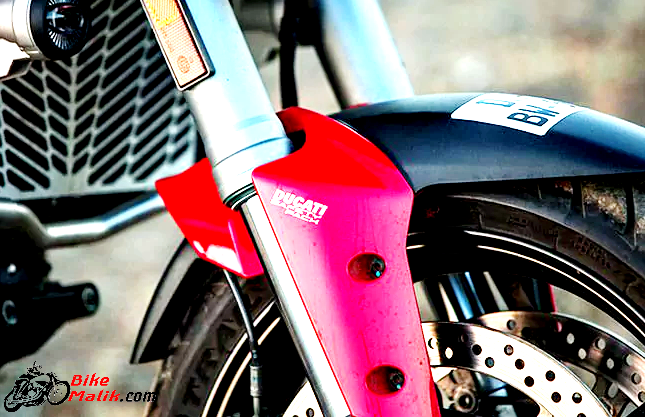 The World’s finest Italian 2-wheeler manufacturer ‘Ducati’ is well known for the auto market with its fast and furious road racers. The models from the Ducati are the most alluring ones that are incomparable to any of the models that are existing around the globe. The bike maker also rewarded with the most prestigious award ‘MotoGP’ for its desirable models. 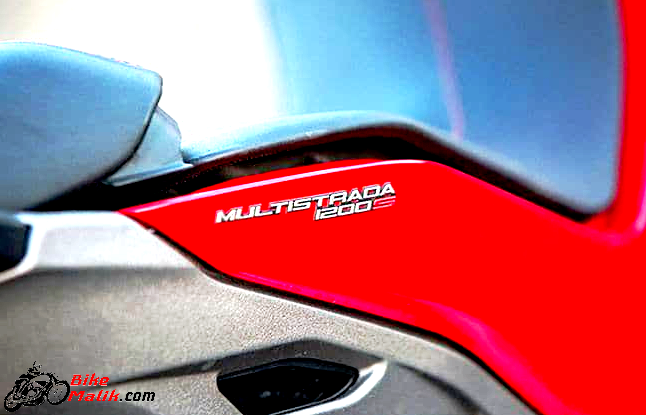 One such model from the bike maker is ‘Multistrada’. It is accessible to the Indian customers in 3-versions as; Ducati Multistrada 1200, 1200 Touring, the 1200S, 1200S Touring and 1200S Pikes Peak Edition. This revolutionary model comes with all the advanced technicalities & features. This performance-oriented superbike offers driving modes like; Sport, Touring, Urban, and Endure, which makes the riding experience sumptuous. 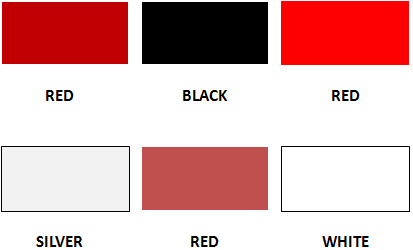 Ducati Multistrada offered to the customers in colors as; White, Red, Red, White, Black & Red. 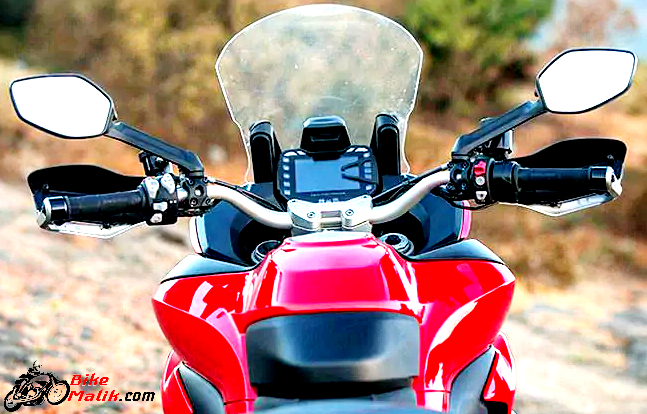 Up to now you have seen, how artistry the Multistrada is, and now its time to know about the powering technicalities of the superbike. 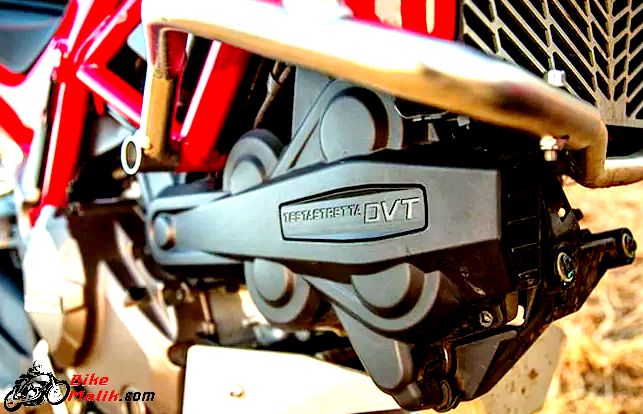 The bike gets powered by a 2-generation Testastretta DVT (Desmodromic Valve Timing) 1198.4cc, dual spark, liquid cooled, 4-valve per cylinder, L- Twin engine that produces a peak power of 160 hp @ 9,500rpm with a maximum torque of 136 Nm @ 7,500rpm. 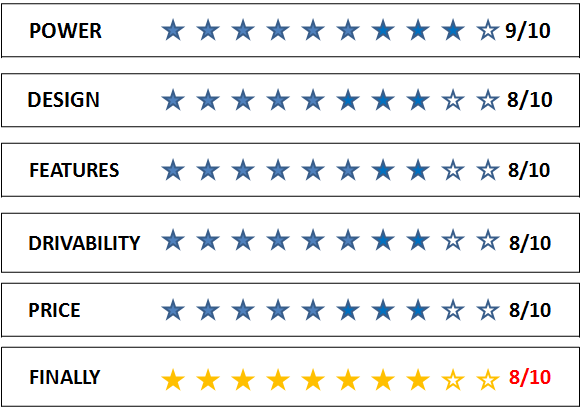 The bike is now compliance to the standard Euro 4 norms for better emission standards. The 6-speed transmission gearbox works effectively to equate with the power output figures produced. With the potential engine setup, the bike claims a top speed of 250 km/h. The Bosch enabled electronic fuel injection system with elliptical throttle uses Ride-by-Wire technology to ensure tasty rides by also delivering decent fuel figures. With the efficient engine technicalities, Ducati Multistrada returns a decent fuel figure of about 20 km/l (company claiming). While we drove it claimed 16.15 km/l (approx). 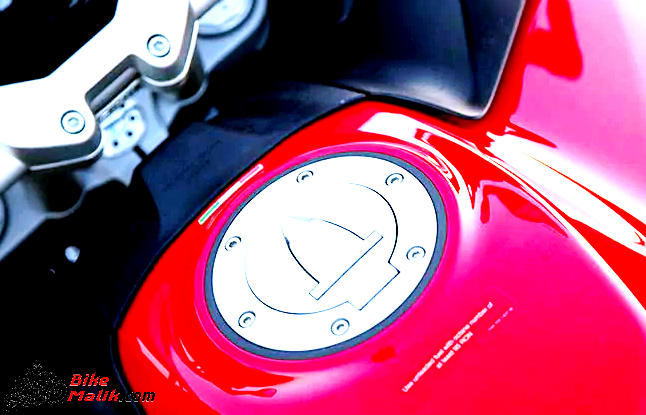 Ducati always delivers the iconic models, that steals the heart of the auto adores. The Multistrada is sculpted on a sturdy Trellis chassis with a large diameter, a light gauge with two central cast Aluminum sections and a rear cast sub-frame. 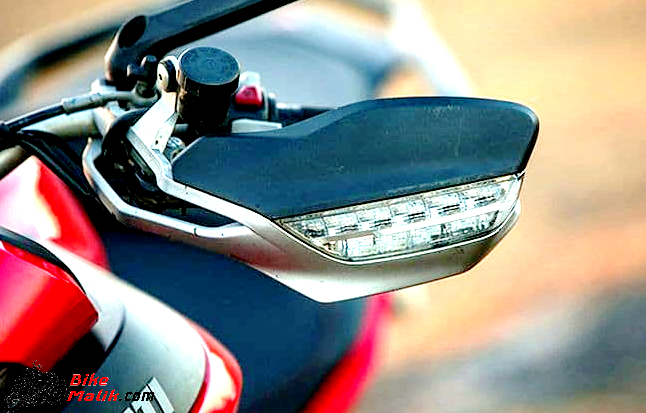 The Multistrada offers utmost comfort to both rider & pillion and hence, make them feel delighted to the extent. 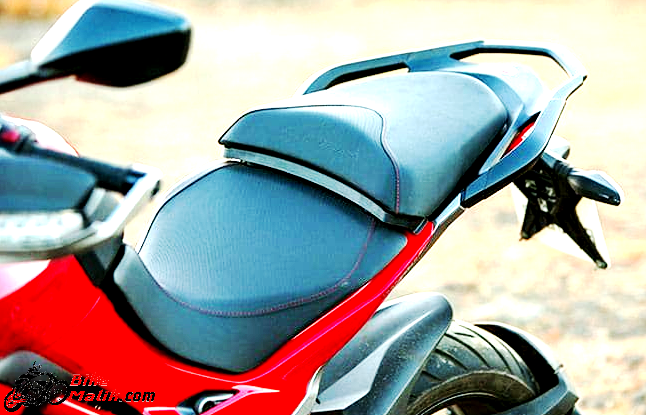 As of this, it gets two separate seats for both the rider and pillion, to ease the drives without any flaws. 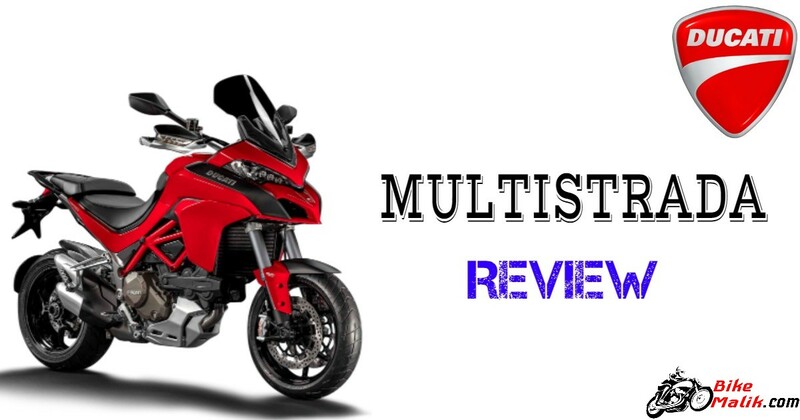 The design of the Multistrada is something that was not easy to define. The front section of the bike gets a two air bay for air inlet which not only provides good performance but also brings perfect stance to the bike. Two LED headlamp units give the good vision of road under un-visible conditions. The adjustable visor housed above the headlamp unit, measuring (18 mm taller and 43 mm wider) provides good protection under high winds. While the 17-inch, 3-spoke alloy wheels enhance the overall appearance of the bike. The tyre hugger fender at the rear reduces the splashing of mud. The rear view mirrors mounted on the handlebars gives perfect visionary of the objects behind the bike. The 20-liters robust fuel tank with a covered extended front fairing on the sides gives a huge appearance to the bike. The clutch and front brake lever with the LED indicators give good communication for the bikers. The sturdy grab rails give a good amount of grip to the pillion to hold the bike. 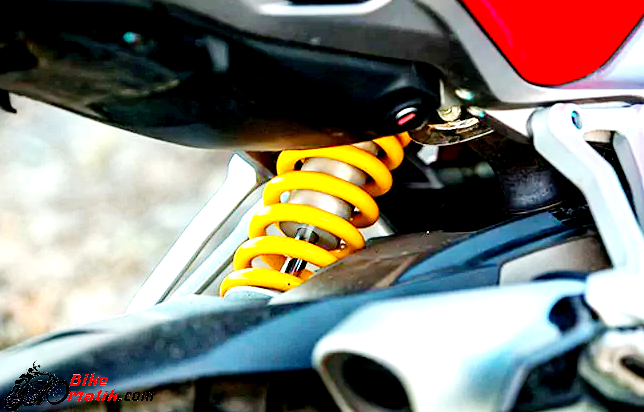 The 192kgs of kerb weight, might be heavy to the biker but, maneuvering of the bike is comfortable without any flaws. The instrument cluster with 2-LCD screens fitted behind the visor displays useful info to the biker regarding; speed, rpm, fuel level etc. 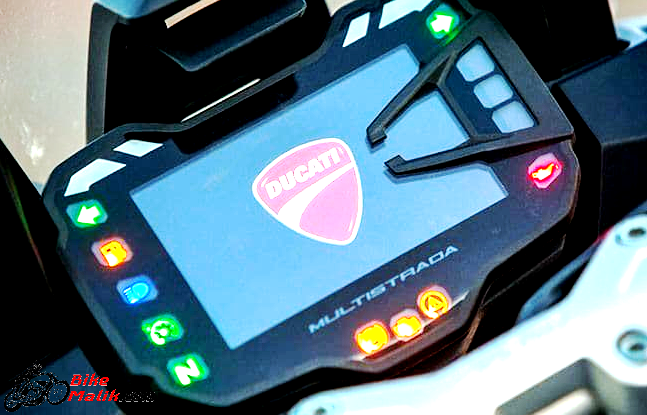 The rider will be alerted if any malfunction was encountered in the system, with the help of the screens, which works mutually with the sensors and ECU of the bike. 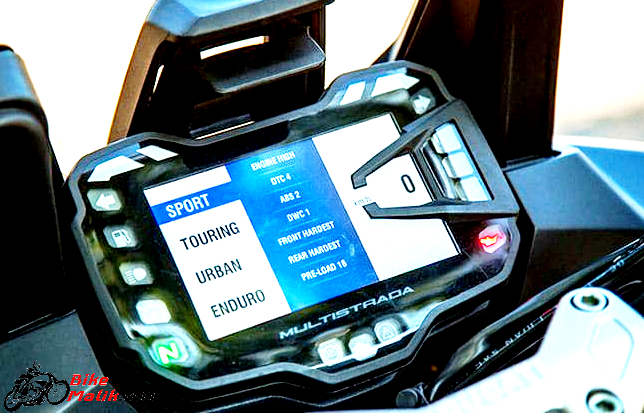 One of the LCD displays driving modes, and ABS status of the bike. 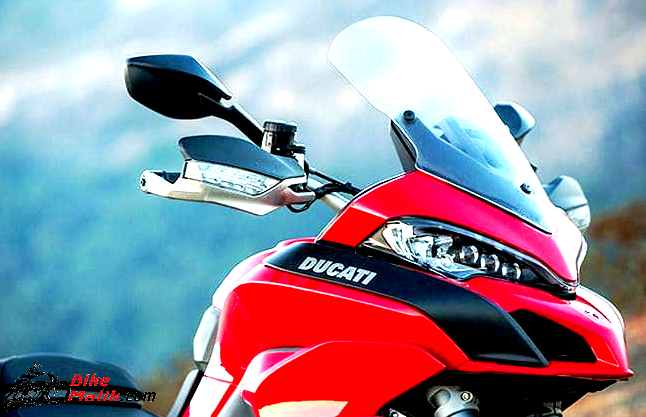 Ducati bikes are the desirable ones that deliver the all the driving capabilities to the rider without any disrupts. The bike sprints on a most reputed Pirelli Scorpion trail tyres of 120/70 17’’ at the front and 190/55 17’’ at the rear that gets wrapped to stylish and robust alloy wheels. 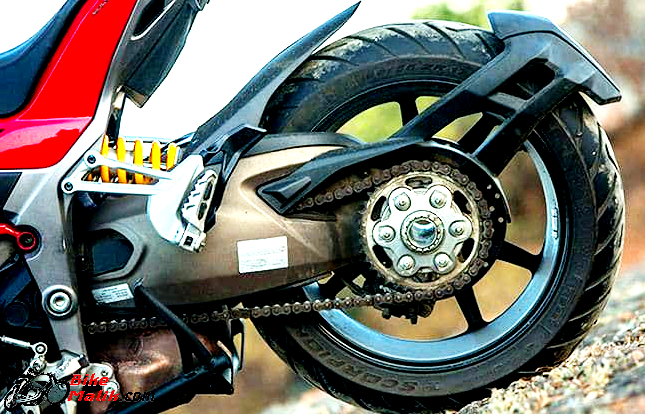 These tyres ensure better grip over the surface and hence, there is no chance of skidding of the bike. So as to stop the heading power, Multistrada gets a 320mm dia dual disc brakes on the front wheel and a 245mm disc brake on the rear wheel. While the electronically adjustable 9ME Bosch ABS (Anti-lock Braking System) gives further stopping power to the biker. This perfect touring bike ensures hassle-free rides with the incorporation of 48mm electronically adjustable Upside down suspension unit at the front and electronic spring pre-load adjustment at the rear. While the integrated Ducati Skyhook Suspension (DSS) technology comes as an additional comfort feature that provides fruitful rides to the biker. Hence, the overall features work very accordingly to ensure all the easement to the biker & pillion. 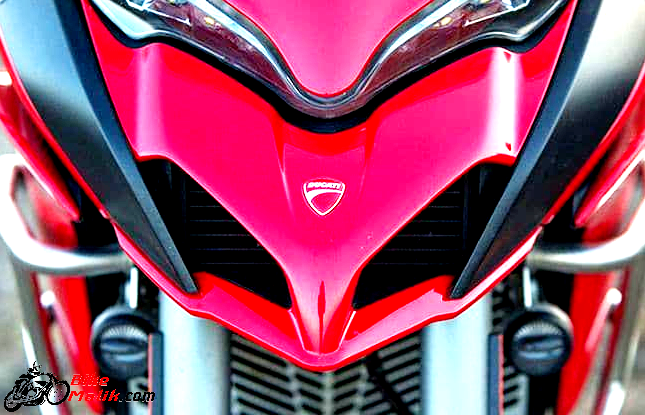 Ducati Multistrada comes in 4-variants with a price starting at the range of INR 17,16,453 (ex-showroom, Delhi). Nevertheless, the performer needs no introduction to brief the mighty allrounder. Another opulent was joined in the Ducati Portfolio.